We are so excited to be part of the cover reveal and blurb for the 8th book in the Experiment in Terror Series by Karina Halle, titled Ashes to Ashes! Check out this beautiful but creepy cover! 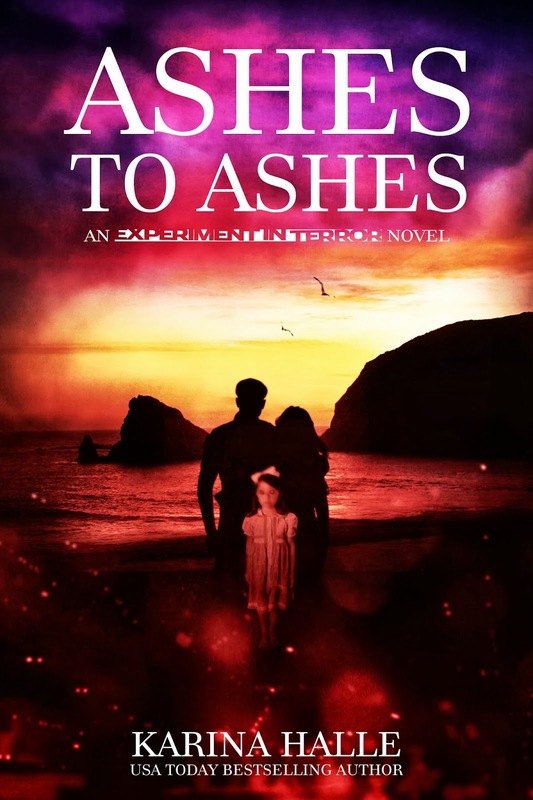 Ashes to Ashes is due for release on 11th December 2013! After filming a creepy experience in her uncle’s dilapidated lighthouse, 22-year old Perry Palomino becomes a YouTube and internet star overnight. She attracts the attention of Dex Foray, a producer and cameraman for a site that specializes in various webisodes, who convinces her to be a host for a low-budget ghost hunt­ing series. The only problem is, neither Perry nor Dex are entirely “with it” — I mean, they see ghosts, after all. And when the duo isn’t wrestling with the very notion of reality, they’re grappling with a working relationship that’s deepcut with sexual tension and the ongoing question of will they or won't they? Book #1 (Darkhouse) is FREE on Amazon, Smashwords, and Nook.